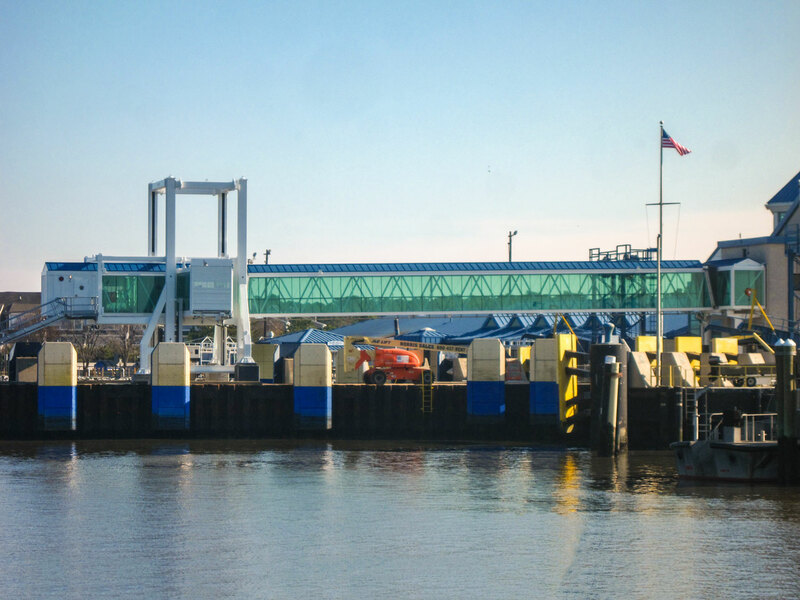 The Delaware River and Bay Authority decided to replace the Passenger Boarding Bridges which are serving the ferries at the terminals of Cape May and Lewes for more than two decades. 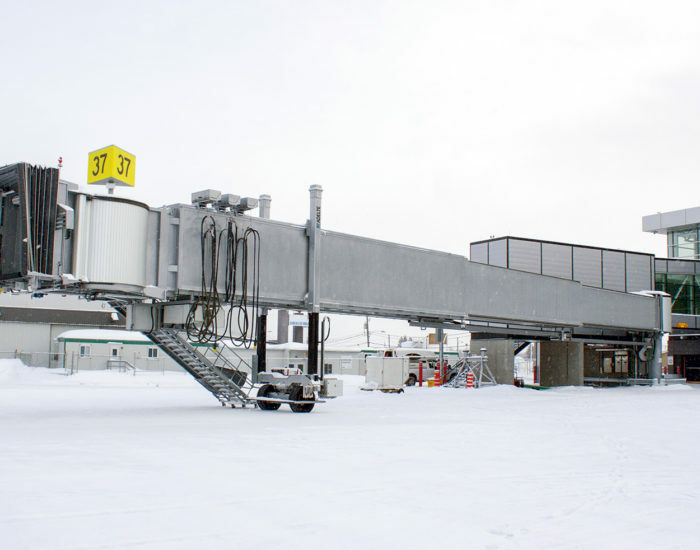 ADELTE in cooperation with JPC Group of Philadelphia won the contract in 2012 to demolish the existing PBBs and to deliver a uniquely designed THALASSA PBB at each terminal in 2013. 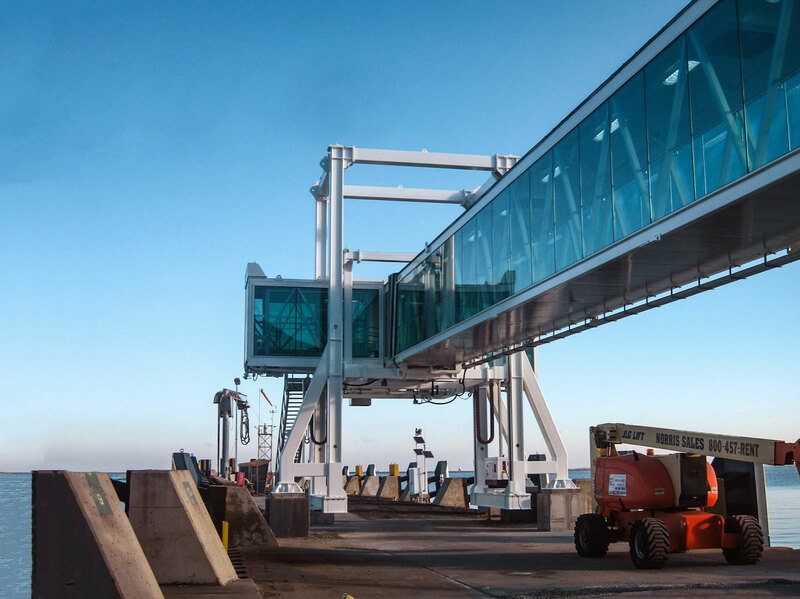 The innovation applied to these boarding bridges, which will be installed over the length of the pier, is that on both sides of the tunnel a boarding cabin is attached. 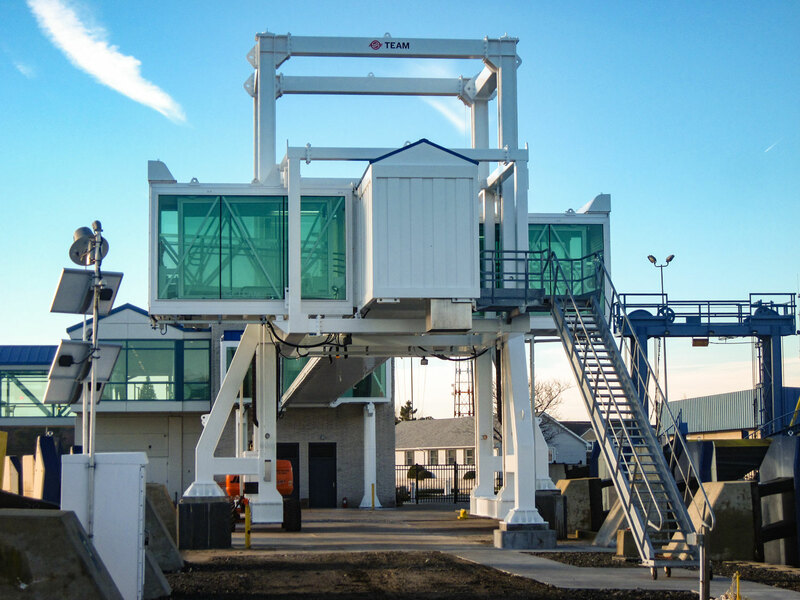 This design provides great flexibility to the operator as only one single PBB can be used for both sides of the berth. 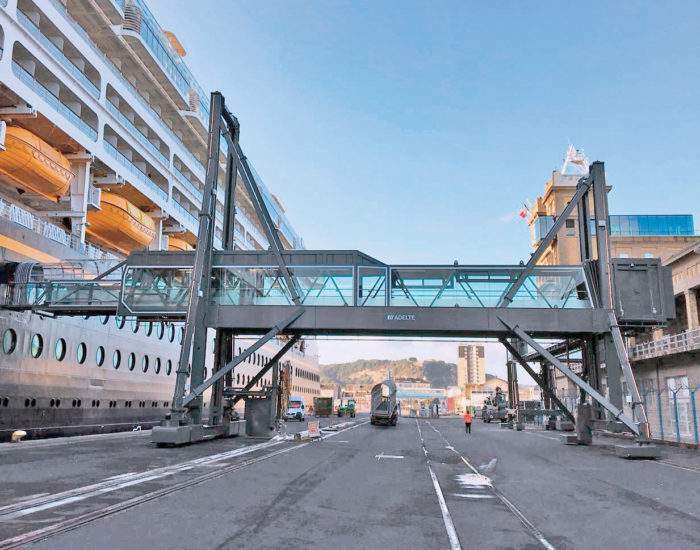 Unique design applied to these THALASSA boarding bridges is the attached cabin on each side of the tunnel. 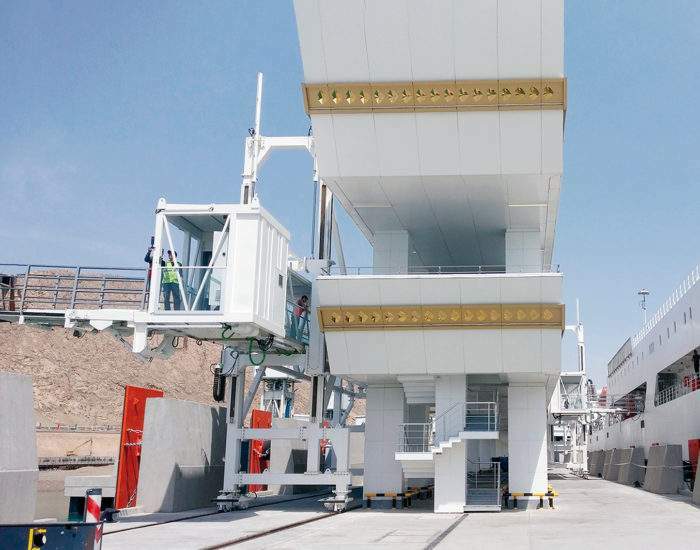 This innovative design will improve logistic operations at the terminal, ensuring continuous passenger flow and leaving the necessary space at the berth for feeding and mooring the ships. 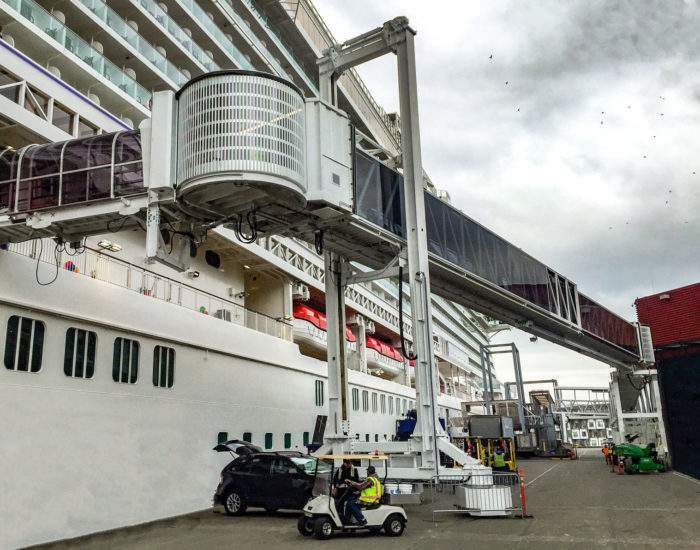 The two units will enable the comfortable and safe embarking and disembarking of passengers and will automatically follow the ships’ movements. The tidal variations will be followed with the main electromechanical ball screws which will slope the main tunnel while the ship’s displacements over the water surface will be followed by each of the cabins.